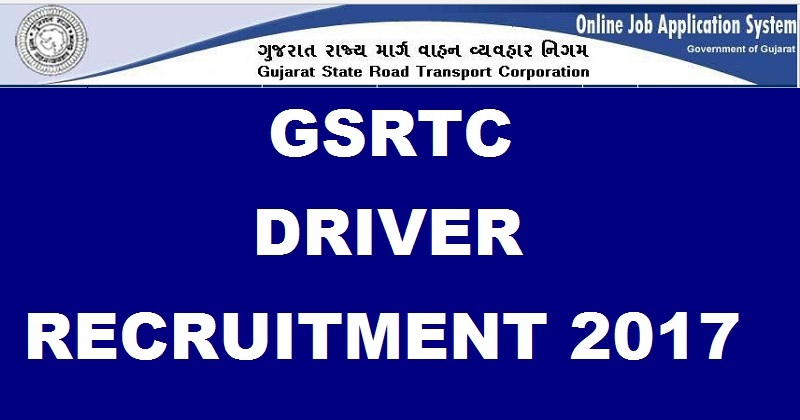 Gujarat State Road Transport Corporation Limited (GSRTC) has released notification for the recruitment of Driver posts. Through this recruitment process, the GSRTC is planning to recruit the candidates for about 2939 vacant positions. Candidates who are looking for the jobs can apply for these posts. The GSRTC Driver recruitment online application has been started and the last date for the registrations is 11th Feb 2017. Gujarat State Road Transport Corporation is a state-owned corporation. This corporation provides the best transport with in Gujarat State and the neighboring states also. Along with state formation, the GSRTC is also formed on 1st May 1960. It has got 16 divisions, 126 depots, 226 bus stations, 9000+ buses etc. Every year it conducts various examinations for the recruitment of eligible candidates win various departments. This year it has released Driver recruitment. Candidates who are interested should first go through the official notification. Also, check with the eligibility criteria and confirm that your qualification and other to match. Below we mentioned the eligibility criteria like educational qualification, age limit, selection process etc. If you want some more detailed information please visit the GSRTC website. Candidates should possess a 10th class certificate from Board of Secondary education and a driving license along with the 10th certificate. Candidate`s age should not exceed 25 years to 38 years. Candidates within this age can only apply for this job. There are two steps in which the candidates are selected i.e, competitive written test and computer proficiency test. 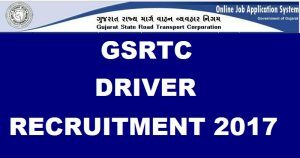 How to apply For GSRTC Driver Recruitment 2017? Find the link “Apply Online” and click on it. Check the posts and select the desired one then click on “Apply Now”. Fill all the required details in the application form and click on Submit button. An application number is generated which should be saved. Take a print out of the application form as an acknowledgment. Stay tuned to this webpage for more information about GSRTC recruitment 2017. Press CTRL+D to bookmark this page for further use.